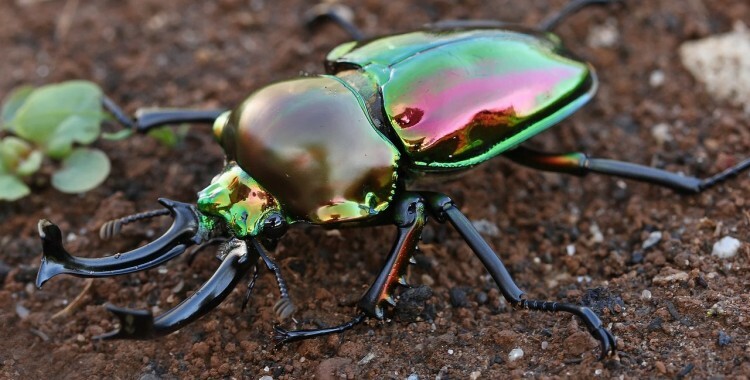 When you hear someone say, “beetle”, the first word to pop in your head probably isn’t, “beautiful”. 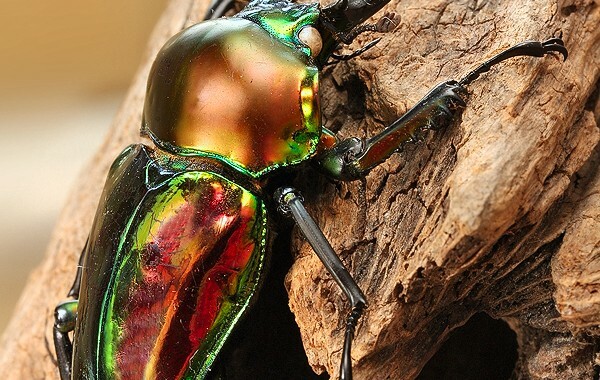 But to prove that clothes really can make the… beetle, the rainbow stag beetle puts on amazing show of color! 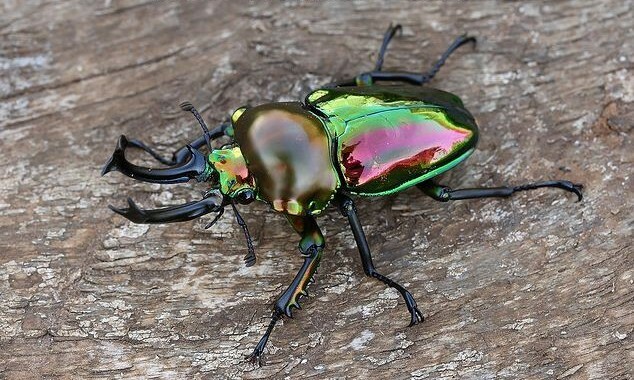 While we don’t anyone making jewelry with beetle shells (harvested after their natural passing of course), the shell of the Rainbow Stag captures more color than many gemstones we’ve seen. According to FeaturedCreature, some people even keep these as pets! 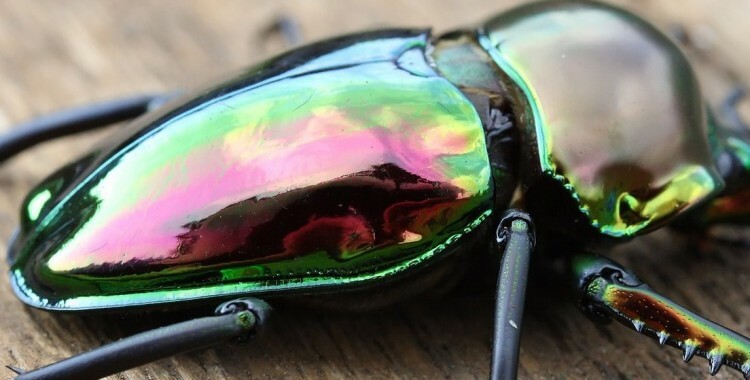 It’s so breathtakingly beautiful that a lot of people keep these guys as pets, just so that they can constantly admire this wonderful creature. The males even grow pretty large at just under 3 inches in length and can live up to four years.